Summary Description Legacy Capital identified the site, which was being sold through a bankruptcy bid process. Prior to the bid date, they learned a competitor (Standridge Co.) was also pursuing the property. Legacy and Standridge decided to form a venture and bid on the property at a price of $2.31 psf. The land had not been marketable due to construction of the 121-Tollway directly in front of the property, and by the time the road was finished, the owner had gone into bankruptcy. The bankruptcy case took time to process, creating pent-up demand for land on the newly-completed tollway. Once the market became aware that the land was available and the owner was a professional real estate investor, users stepped up quickly to purchase the tracts they needed. Summary Description Legacy purchased this site in 2004. The property had ideal spacing from existing retail (approximately 6 miles south of the site), control of all developable corners, and strong interest from Wal-Mart. 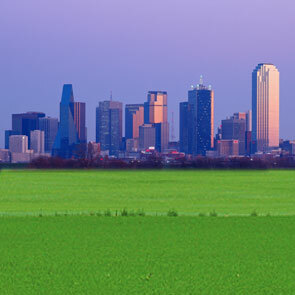 Legacy worked with the City of Fort Worth to bring sewer and water to the site. Legacy also actively worked with TXDOT to help fund and re-design the off-ramp which positioned the site for retail development. Wal-Mart’s imminent purchase and availability of utilities spurred interest from a developer that purchased 166 acres in August 2007. Wal-Mart closed on its 23-acre parcel two months later.